High quality business spaces, with premium conference resources, are available at this Greenbank Technology Park property. A business support team offers full management and training services. Situated to the north east of Blackburn town centre, very close to the M65 motorway. Modern business centre offering flexible carpeted office space with lifts to all floors, and full disabled access. A comprehensive reception service is provided, along with a round the clock security team. There is CCTV monitoring and electronic key entry. Meeting rooms are equipped with state-of-the-art presentation hardware, and the kitchen is fully furnished and equipped. 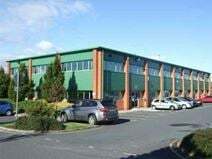 The premises are situated to the south of Blackburn, between junctions 4 and 5 of the M65. Fully furnished office spaces equipped to the highest specification, leased on flexible terms, are available at this newly built business centre. 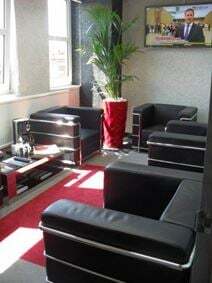 A range of meeting rooms and dining areas are offered. Located close to junction 5 of the M65, south of Blackburn, with direct links to the M6, M55 and M61. Situated in a prime area of Blackburn, this centre offers a range of professional, open plan office space. Tenants benefit from 24-hour secure access, an on-site kitchen, and a friendly on-site management team who can offer personalised support. On-site parking is available, making commuting a breeze and local amenities are available from Blackburn town centre which is just a short 10-minute drive from the centre. This Grade II listed building, with modern extension to the rear, provides offices in a range of sizes. A management team supplies reception and support services. The property is situated in Blackburn town centre, very close to the shopping centre and train station, with easy access to the M65. From small flexible suites of 179 sq. ft. (two persons) up to a large space of 13,000 sq. ft., this prestigious three-storey office building is adjacent to Elder Court in an established business location next to the Beehive roundabout at the entrance to Shadsworth Business Park. In landscaped surroundings tenants also benefit from a new large breakout area, meeting rooms and a managed reception area. 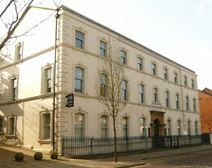 Unfurnished office accommodation in a range of sizes is on offer at this business centre. There are reception staff, a round the clock security team, meeting facilities and kitchens. The centre is close to the M65, and Blackburn town centre is within easy reach.